Although this variety is considered dwarf, it will reach about 25 feet at maturity. 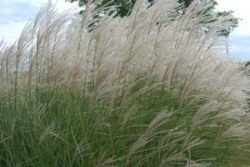 Perfect for a smaller landscape, townhouse or condominium. Can tolerate wet areas. Also makes a great evergreen privacy screen. 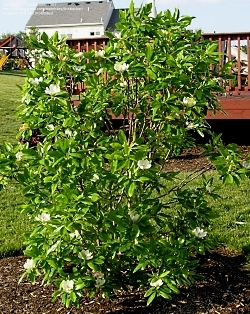 Early bloomer with large, fragrant, double white flowers appearing before the foliage emerges in spring. 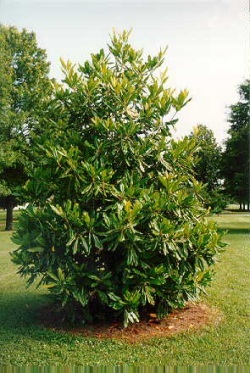 Open-branched, multi-trunked large shrub or small tree. 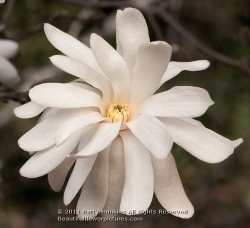 Few trees are as charming as the Royal Star Magnolia. Excellent choice for moonlight and all-white gardens. A perfect choice for courtyards, townhouse, and condominium gardens. A striking winter flowering shrub with dark evergreen foliage. Bronze new growth contrasts nicely with the mature dark green foliage. 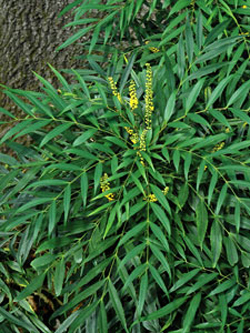 Flowers are bright yellow and slightly fragrant. Eggshell blue fruits are quite attractive in early spring. Dramatic focal point in the winter garden. Makes a unique looking foundation plant. 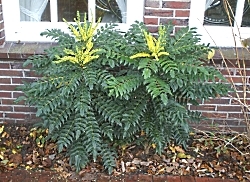 Narrow leaves are soft and slightly pendulous producing a lush foliage clump, turning gold in fall. Blonde flower spikes remain through the winter. 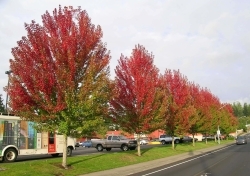 Good for erosion control, is seacoast tolerant, and deer resistant. 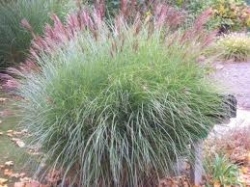 This pretty variegated grass is a great accent for beds and borders. Plant as a single vertical accent or line it up as a hedge. 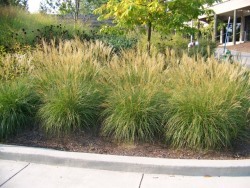 Perfect near water gardens and fountains, as wildlife cover, and to disguise mechanical pumps or filters. Also a good choice in glazed ceramic pots for patio, porch or terrace. Seacoast tolerant.